Found on roadsides and in fields. 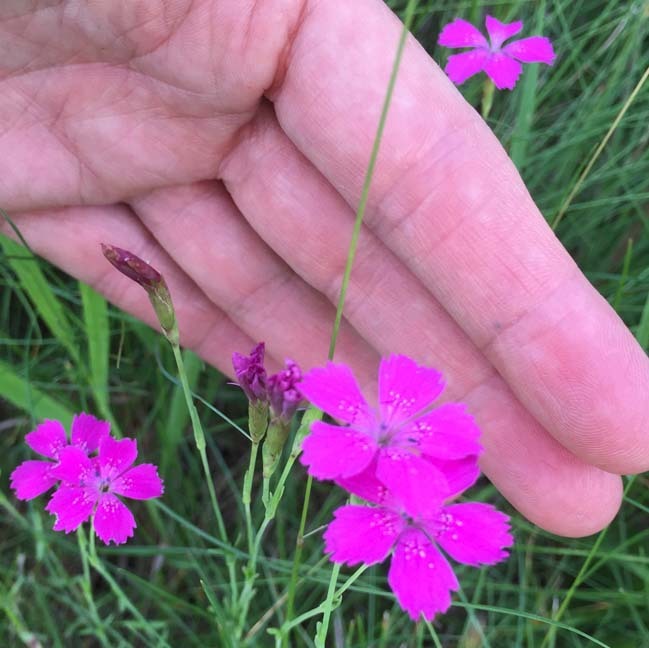 Flowers are bright, deep pink with white speckles. 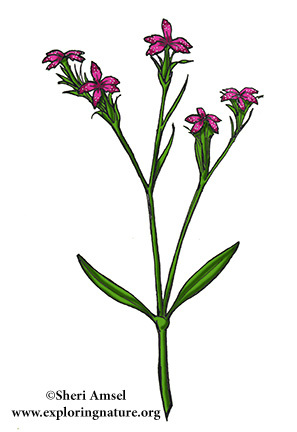 Several grow on the top of a grassy-like stalk. Up to 2' tall - blooms summer to fall.